The gauntlet has been thrown down. A challenge has been issued. I have accepted. Have you ever seen Back to the Future? You know when Biff calls any of the McFlys a chicken, they immediately have to do the challenge…well I am kind-of like that. Luckily the challenge is nothing silly or endangering. It is actually an enlightening challenge for me as a “foodie”. Rod from Rocky Mountain Organic Meats and I decided that a great way for me to really understand the importance of grass fed organic meat was to do something I have been avoiding for ages…watch the dreaded Food, Inc. I have been doing everything in my power NOT to watch this documentary. I kind of like the “ignorance is bliss” motto when it comes to my food. That goes for the cleanliness in restaurants, the ingredients in hot dogs, and lots of other things we don’t like to discuss. However, after one conversation with Rod, and hearing his passion for organic, grass fed beef, I knew this was the right time to take my blinders off. So, fair readers, I am preparing myself for the emotional impact I expect this movie to make. I know I will cry when I watch it. I know I will feel nauseous. I know I will be enlightened. Rocky Mountain Organic Meats sent me a “care package” of their organic goods for research purposes in this project. I plan to do some comparing, and lots of cooking! 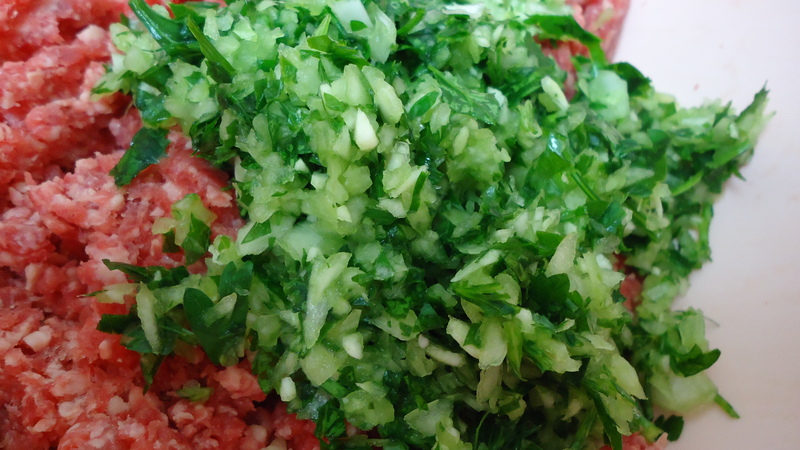 Look at the coloring of this ground beef, this is not your major grocery store ground beef! 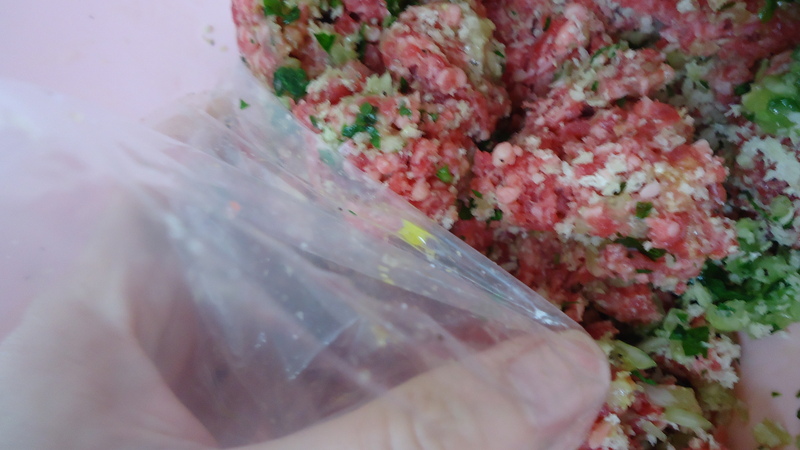 My secret tip to handling raw meat...plastic baggies on my hands! Heat a non-stick pan over medium-high heat. When pan is hot, add 1 tbsp olive oil. Once oil is hot, place meatballs in the pan. Pour broth mixture in the hot pan and bring to a boil, making sure to scrape the bottom of the pan to get all the drippings. Let simmer until gravy is the desired consistency. Season to taste. 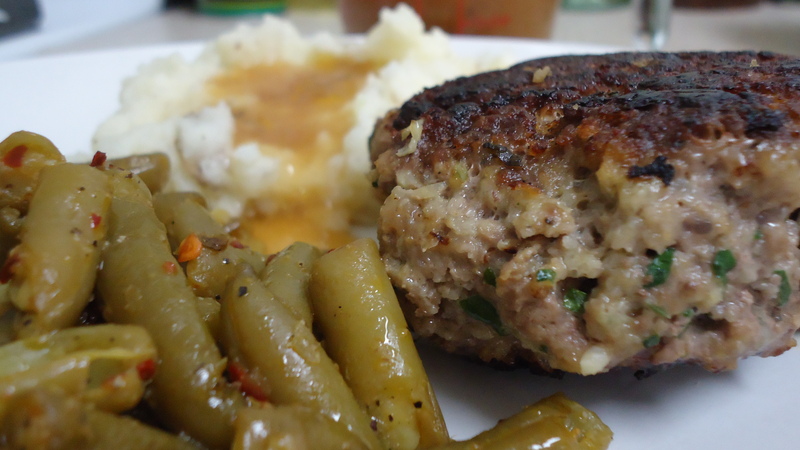 Serve meatball with gravy on the side and mashed potatoes. 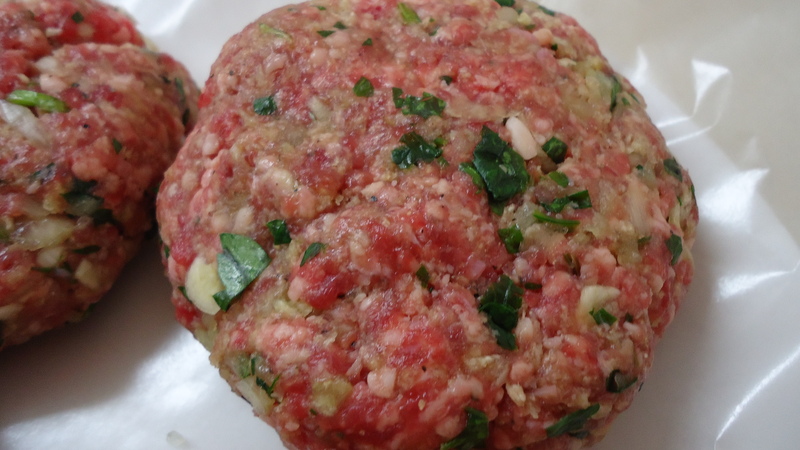 This entry was posted in Recipes, Reviews and tagged grass fed, gravy, hamburger, main course, main dish, meatball, Organic beef, recipe, review, rocky mountain organic meat by reneeh. Bookmark the permalink. I haven’t necessarily been avoiding watching Food, Inc., but I haven’t had an opportunity to yet either. I’m sure you’ll report back to us with your thoughts. Not gonna lie. I am kindof scared…. After you watch Food Inc understand that we are what we say we are, 100% Certifed Organic 100% Pasture Raised. We are about connecting you to where your food comes from and it was raised and processed. Rocky Mountain Organic Meats is committed to the National Organic Program and will continue to be the best. Because Your Family Deserves the Best!! 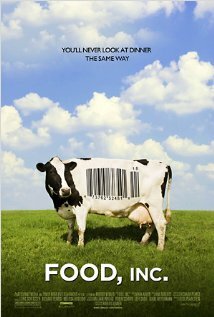 Food, Inc. really changes your perspective on what you eat and looking at how food gets to your table. I think you will enjoy it! Looking forward to hearing about this movie, too. And yum on those meatballs!! Renee, I’m soooo glad you’ve accepted the challenge to watch Food Inc. When I saw it, it was a case of “preaching to the choir” because I’ve been onto this for years. But I encourage everyone to see it. Something has to be done, and it’s down to us! I have some of Rod’s beef in my freezer right now and look forward to trying it. My local health food store carries a good selection as well. Can’t wait to read your take on the movie. Pingback: Getting Ready for the Spring! Caribbean Fritter Recipe « Eat.Live.Blog.